She was a member of the Executive Committee of the Urban Diversity research project (2010-2013), coordinated by the University of Tampere and also worked as an expert for the "Deck and Roof Gardens and Green Roofs Committee" on the renewal of the RT 85-10709, the national building code on the subject matter. Catherine MacDonald, Mark Gregory), mainly as Planting Designer on several award-winning designs at the world-renowned Chelsea Flower Show. She is the "mother" and plant and landscape designer of the Greenest of the Green award-winning block of flats project in Helsinki, which combines green walls and roof gardens with research of both the plants and environmental aspects as well as the impact of the greenery on the community living in the building, i.e. sociological and communal factors. Taina is constantly busy designing roof gardens, gardens and greeneries in urban settings, many of them in notable locations (National Housing Fair in Vantaa, Finland, and the afore-mentioned "Greenest of the Green" block of flats project, comprising research green roofs, biodiversity kitchen garden, berry forest garden and a deck garden and many others). At the Barbican Center Roof Garden in London, she worked together with prof. Nigel Dunnett. Her previous positions of trust include the Deputy Chairperson of the Association of Green Environment (VYL, 4 years) and the Chairperson of the Garden Builders' Association (Puutarhanrakentajat ry). Between 2012-2015 she was the Chairperson of Finnish Horticulturists’ Association. Taina obtained her first professional qualifications in the field, the British Higher National Diploma (HND) in Horticulture in Northern Ireland. 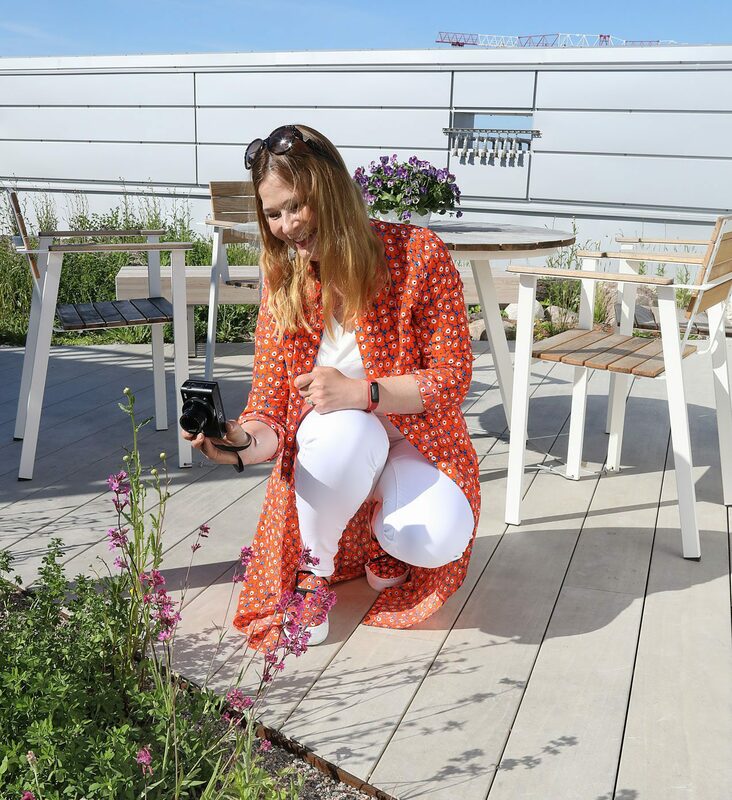 For over fourteen years she has worked for leading British garden designers (Carol Klein, Andy Sturgeon, Thomas Hoblyn, Paul Stone, Nigel Dunnett, Catherine MacDonald, Mark Gregory), mainly as Planting Designer on several award-winning designs at the world-renowned Chelsea Flower Show. She joined the Scandinavian Green Infrastructure Association (SGIA) as a Member of the Executive Board in the beginning of 2015. She joined the Scandinavian Green Roof Association (SRGA) as a Member of the Executive Board in the beginning of 2015.